Mothers are an indelible force. It’s often said that they have the hardest job in the world — creating and nurturing new life. For many of us, our mothers shield us during our most vulnerable periods, shape us emotionally during our formative years. They do not do it for pay, or for accolades. They do it out of love. 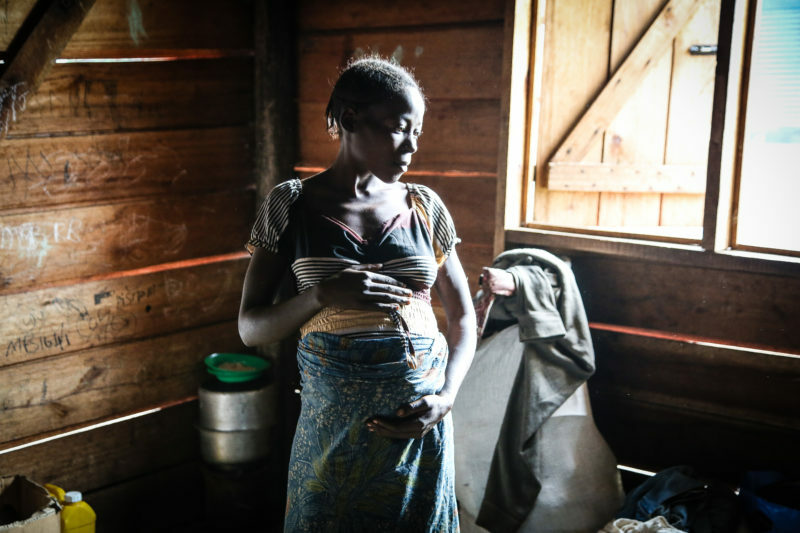 On this Mother’s Day, we want to highlight new mothers and mothers-to-be who hold on to hope despite suffering the impacts of war. Despite how broken the world can seem sometimes, life marches on. 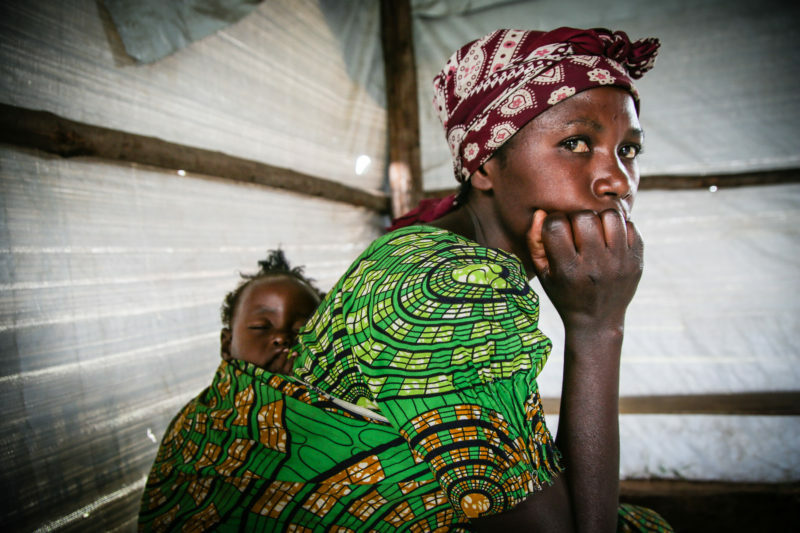 These mothers, through no fault of their own, are caught in the crosshairs of conflict. Many have lost their own mothers or other family members and feel lost and alone. No mother should feel alone on Mother’s Day. The holiday started more than 100 years ago with the philosophy that a “mother did more for you than anyone else.” This presents a question: What can we do for the mothers of the world? Mama Janine gave birth upon her arrival in the Ugandan refugee camp. My name is Janine and yesterday I gave birth to my daughter Janti in the Medical Teams International tent here in the refugee transit center. We ran from the Democratic Republic of the Congo a week ago because of the war. We heard many bullets and saw people being hurt by them. We left at 6 a.m. in the morning and walked until that evening to come to Uganda. I have a 5-year-old daughter and her dad carried her for me. I felt a lot of pain in my heart as we left Congo. I don’t think we’ll ever go back. I still don’t know where my mother is, as we ran as fast as we could and everyone went different ways. Moving on foot for a day at nine months pregnant was uncomfortable. We’d been in the camp for a few days when I woke up in the morning with abdominal pains and after two hours decided to go to the Medical Teams International clinic. I delivered within minutes of arriving there. The staff treated me well and were good to me. My baby seems to be vomiting up the milk I give her so I’m going to the clinic soon to see if they can help me work out what the problem is. My name is Myombi and I am 18 years old and 38 weeks pregnant with my first child. We spent two days walking here. I had to take many rests so I could make it. We came because of the fighting. There was no time to pack. Bullets were flying. I came with my neighbors and I have no idea where my family is. My husband ran in a different direction. I hope he will find us, but I don’t know if he will. As long as I deliver a healthy baby, I will be happy. 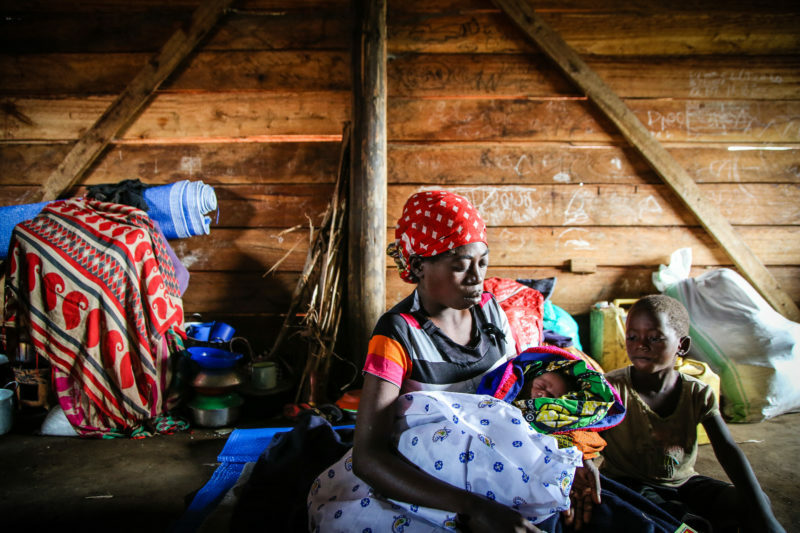 Mama Manashimwe worries about her 1-year-old daughter, who is sick. My 1-year-old daughter is sick. She’s had ongoing diarrhea and she’s coughing a lot. We came to Uganda as refugees from Congo. The rebels had started ambushing families and killing massive amounts of people. My husband went one direction,and I fled with our six children in the other. We’ve lost our phones and can’t contact each other. I pray he will find his way to this place. I came with some neighbors and I feel safe being here in Uganda. This is my first time to the Medical Teams International clinic to see the doctor. My name is Manashimwe I am 33 years old. On this Mother’s Day, know that your love is reaching hurting mothers around the world. Life-saving medical care — the kind you support — transforms vulnerability into stability. It helps to restore wholeness in two generations — mother and child. Take a bold stance this Mother’s Day and consider making a donation to support a mother in need. © 2019 Copyright Medical Teams International.